It's no secret that the fashion industry doesn't always have the most environmentally friendly practices. From where we shop to how we wash our clothes, our style can have a big impact on the environment. However, the two don't have to be mutually exclusive—in fact they shouldn't. So in honor of Earth Day, we asked five bloggers who specialize in sustainable fashion to break down how to make our wardrobes more conscious ASAP. Of all the easy-to-execute tips that we heard, there was one universal thread: the importance of curbing bad shopping habits and working with what you already own. While browsing the "new arrivals" section and keeping up with trends is probably one of your favorite pastimes—ours too—these experts stressed how overconsumption contributes to waste, not better style. Their solutions included investing in classic pieces and ethically created clothing labels, using what you already own, and remembering the power of buying secondhand. Beyond this, we found their tips to be insightful and easy to incorporate into our day-to-day lifestyle. Not to mention the long-term benefits for the earth. Looking for more ways to feel good about what you wear? Read on for their expert advice and then shop a few of the environmentally sound brands we're loving right now. "We don't need to wash our clothes as much as we think we do. By getting in an extra wear or two between washes, we can save water and keep harmful chemicals out of streams. Most clothes can also be air-dried, so consider skipping the dryer all together. When you air-dry your clothes, you're not just saving energy, you're saving the material and fibers from heat damage so they'll last longer." "Having a defined sense of your personal style will really help you choose pieces that you'll love to wear and avoid items that might be on trend but not necessarily your style. The best wardrobe is one that is built around pieces we feel best in and clothing that fits our lifestyle." "Shopping is an escape for many of us, and everyone has moments of weakness when we're tempted to impulse shop. However, more often than not, those are the pieces that end up going unworn or underused. To avoid this, create a wish list. This way if you're tempted to shop on a whim, you can refer to the list and be reminded of the items you're saving for." "Sustainable fashion is on the rise and becoming more and more available. Depending on your location, shopping for sustainably made clothing and accessories in stores can be easily accessible, if not, there is always online shopping. 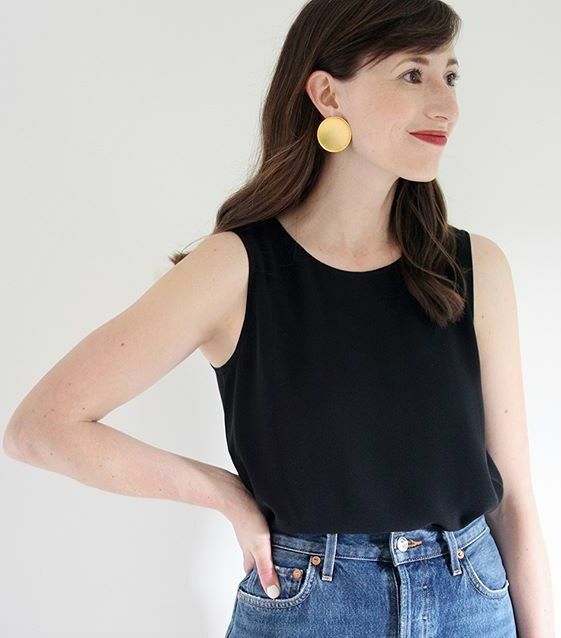 Brands like Able, People Tree, Eileen Fisher, and Reformation offer an excellent selection." "Survey your closet and take inventory of everything you own. Then, knowing that fashion is cyclical and old trends are bound to become new again, pull the pieces you think will make a comeback and donate the rest. Investing in timeless clothing and accessories will not only declutter your closet, but it will also make getting dressed easier." "Shop and swap events are an easy way to get your friends together and shop each other's closets. This will reduce waste, save you money, and let you snag a new wardrobe." "Before investing in a new piece, ask yourself, will I wear this 30 times? The best way to reduce clothing waste is to simply buy less of it. Choose pieces that you can pair with things you already own and that you'll want to wear every day." "Jewelry tends to have a longer shelf life than clothing, so by adding some bold accessories to your wardrobe, you can add a personal touch to any outfit while still looking timeless." "It's never been easier to reach out to designers and the people who make our clothes. If you see a dress you love on Instagram, tag the brand that made it and ask where it's from and who makes it. Just opening up the conversation and asking these tough questions makes us smarter and better consumers." "Before you throw out that piece or that outfit you've grown out of, see if you can repurpose it or ask if a friend wants it, donate to local women's or family shelter, or try to sell it or donate it to a reputable thrift store." "Depending on how bad your buying addiction is, dedicate a week, month, or season of no new purchases. This way you can start to appreciate what you have." "If you realize that you're always needing a new outfit for special occasions, try subscribing to a stylish rental platform like Rent the Runway or Wear the Walk." "Instead of impulse shopping, decide to use what you already have and turn it into something new. Even if you're not the best at DIY, you can still find ways to get creative." "If an item in your closet ends up ripping, shred it even more to give it a 'distressed' look. If there's a huge stain that won't wash out, don't give up on it just yet. Sew or iron on a patch and nobody will ever know." "Secondhand clothing has had a bad rap for ages—but luckily things are changing. Buying recycled clothing is one of the most sustainable things you can do. You can even snag some designer labels (think Chanel, DVF, and Yves Saint Laurent) at consignment shops for a fraction of the price." Available in sizes EU6 to EU14. Available in sizes IT34 to IT48. Incorporate one or all these tips into your routine for a more thoughtful, environmentally conscious approach to style.